I am seriously beginning to think I need a new scanner. These cards are not scanning as nice as they look. This one is in copper. 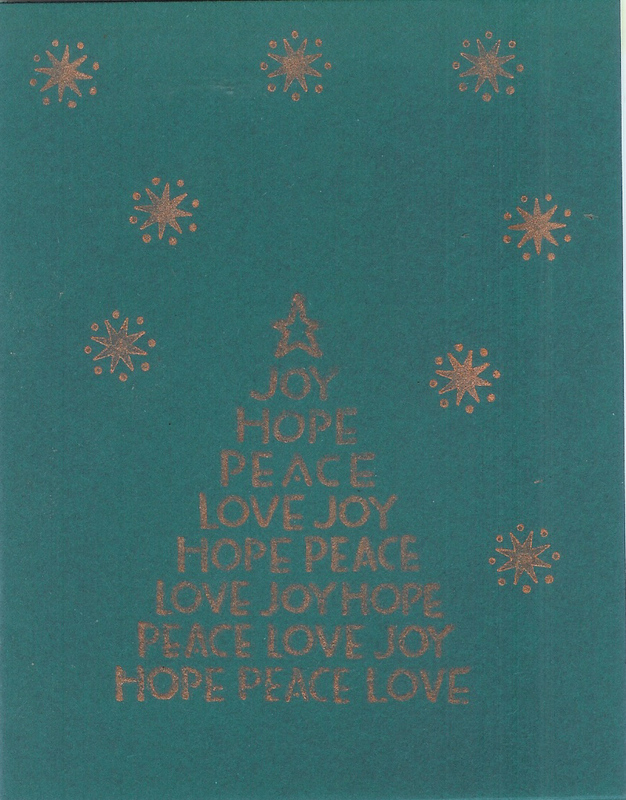 The stamp is the words joy, peace, love and hope in the form of a tree. It is one of my favorites. I think I have decided the forest green cardstock is too dark. I am going to need to adjust my thinking here.